When it comes time to purchase a new set of deep-cycle, flooded lead-acid batteries, golf car fleet managers look for ways to save money. With many golf cars requiring 48-volt battery packs, one of the most common money-saving assumptions is that purchasing fewer batteries with higher voltages will be a less expensive alternative. We compared three different packs utilizing three main battery voltages to determine which arrangement yielded optimum power with a lower overall operating cost. Flow-Rite Visits U.S. Battery Mfg. Flow-Rite, a leading manufacturer of single point watering systems for batteries,shared some of the company's latest product news and tips that U.S. 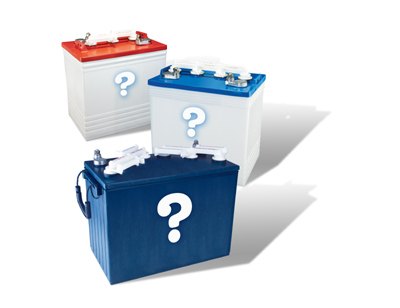 Battery dealers can use to ensure customers are getting the most out of their batteries. U.S. Battery made a donation to the North Georgia Screamin’ Eagles Power-Soccer Team, to help its members continue to participate in a sport that helps individuals live a more fulfilling life. Copyright © 2015 U.S. Battery, All rights reserved.